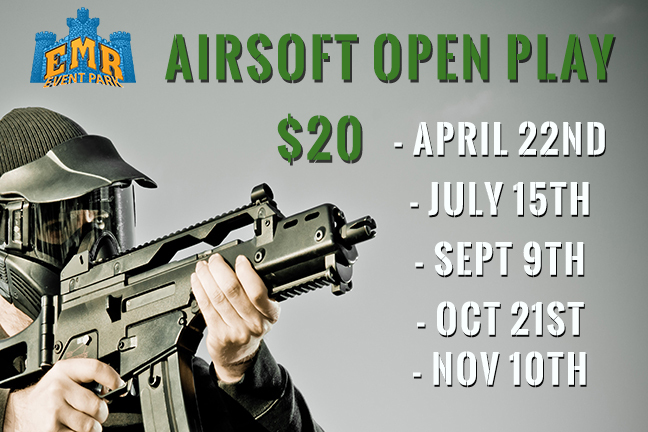 For only $20 entry you can join us from 12pm-4pm for our Airsoft Open Play Sunday’s. Play on many of our world famous fields including Castle Aaargh, Castle War, and Tippmann Town 2.0 to name a few. We run mini-scenarios games w/constant reinsertion, Capture the Flag games, Attack and Defend the Castle, Protect the President, and Total Elimination games on 1 or more of our fields at a time. We will even customize the games to meet your favorite style of play. No rental equipment available at this time.